On December 17, 2018, the government announced their proposed regulations for what they are calling a “best in the world” Air Passenger Bill of Rights. More than 5,000 emails from the public criticized the proposed regulations. The Trudeau government has doubled down on its claim that the proposal is the “best in the world.” We show below that this is false. 1. 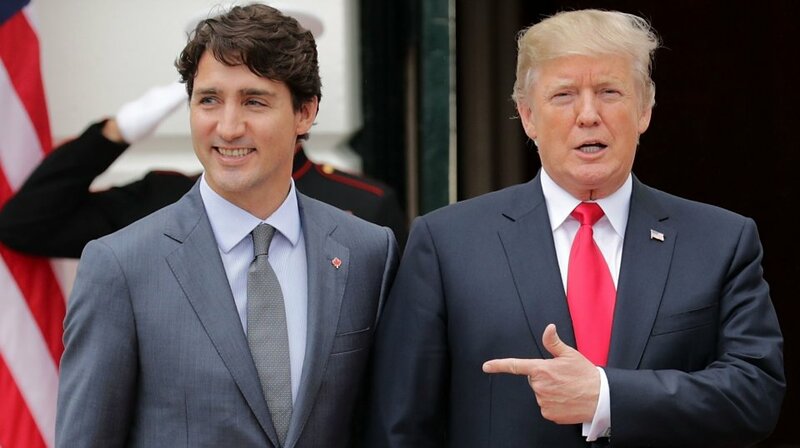 Trudeau Government claims their new regulations are the “best in the world.” False. The Canadian proposal substantially falls short of the European Union (EU) gold standard of air passenger protection. The government’s proposed regulations deny compensation in most situations as opposed to the EU regime, as the government has previously admitted. 2. 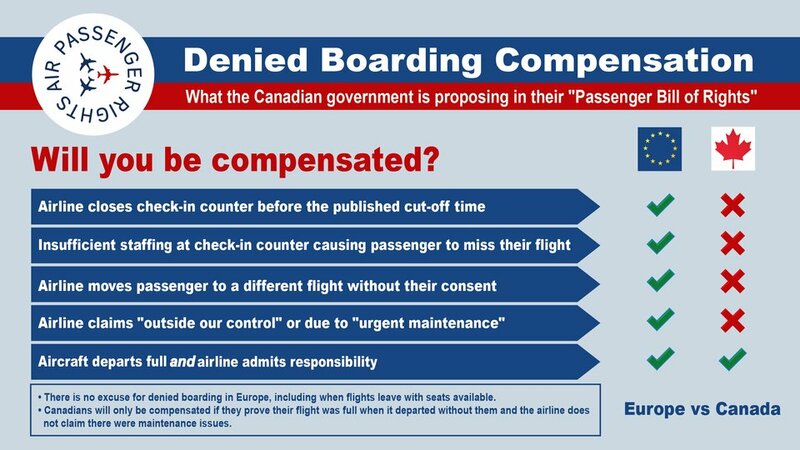 Trudeau Government claims that under their new rules, passengers will get compensation automatically, without having to file a complaint. False. 19(3) To receive the compensation referred to in paragraph (1) or (2), a passenger must file a request for compensation with the carrier within 120 days after the day on which the flight delay or flight cancellation occurred. 3. Trudeau Government claims that the current 90-minute tarmac limit is not legally binding on airlines. False. In 2017, Air Transat was found by the federal regulator to have broken this rule and was fined for it. (Regrettably, the fine was waived on the same day). More recently, Sunwing has also been found to have broken the 90-minute tarmac rule. AIr Canada is currently facing a regulatory complaint for unreasonably changing its terms and conditions to keep passengers on the tarmac for up to 4 hours. 4. Trudeau Government claims to introduce a brand new requirement to seat children next to an accompanying adult. Misleading. Since 2014, Canadian airlines were required to seat children next to an accompanying adult. This requirement is not new. Unfortunately, the requirement has not been enforced by the government. 5. Trudeau Government claims that the EU is in the process of weakening its air passenger protection regime. False. In January 2019, EU officials confirmed that no proposals in relation to air transportation are currently being pursued. While the EU did consider such a proposal in 2013, it did not go beyond first reading in 2014, and has not been considered since then. 6. Trudeau Government claims they introduce an unprecedented new obligation for airlines to rebook passengers on other carriers. False. In 2012, Canada’s major airlines were ordered by the federal regulator to comply with this obligation. The EU rules already require airlines to rebook passengers at the “earliest opportunity” which includes on other carriers (Article 8(1)(b) of Regulation (EC) 261/2004). 7. 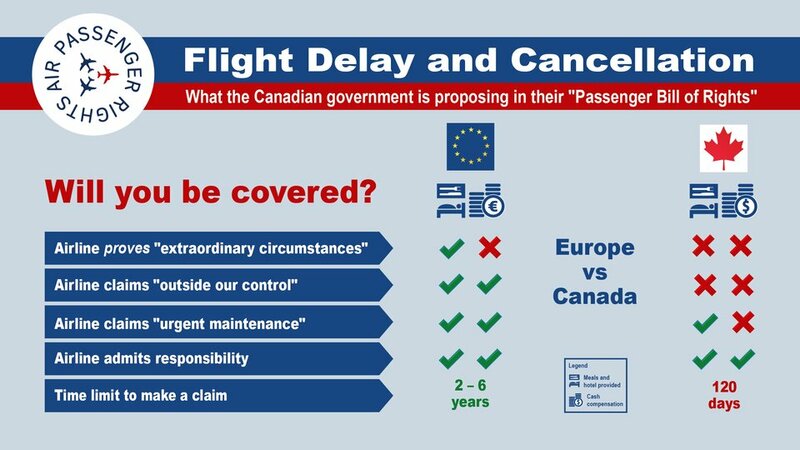 Trudeau Government claims that the EU intended to exclude compensation for flight delays and cancellations caused by maintenance issues. False. It is apparent from that statement in the preamble to Regulation No 261/2004 that the Community legislature did not mean that those events, the list of which is indeed only indicative, themselves constitute extraordinary circumstances, but only that they may produce such circumstances. 8. Trudeau Government claims that the EU offers no protection for inbound international passengers whereas their new rules will. False. All EU states are signatories to the Montreal Convention, a treaty that applies to all international flights. The Montreal Convention protects passengers travelling internationally in the event of flight delay and cancellation, as well as for baggage delay, loss, and damage. 9. Trudeau Government claims that their rules introduce fines for airlines that mistreat passengers. Misleading. Canadian laws and regulations already provide fines of up to $25,000 for airlines that violate passenger rights. Nevertheless, in most cases, fines are not imposed. When fines were imposed, they were immediately waived and not collected.